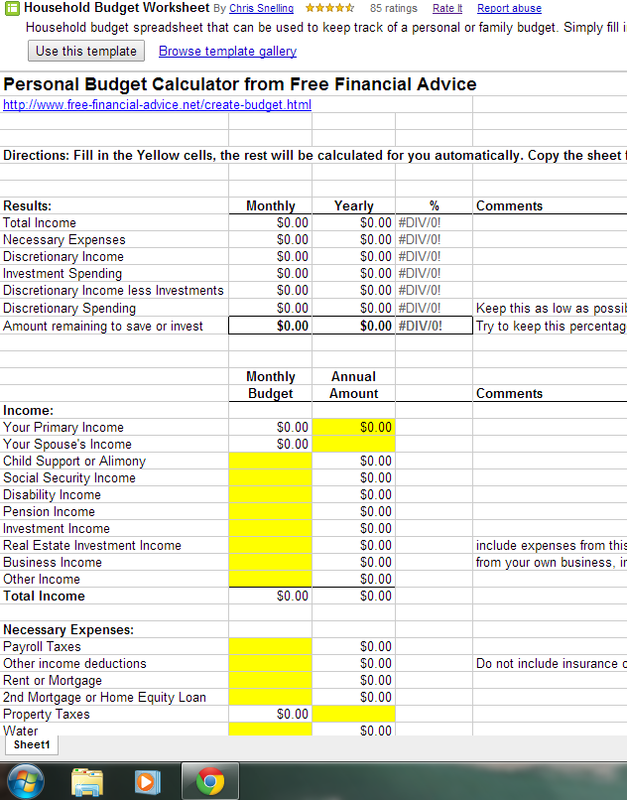 I found the following budget spreadsheet template and it would be super useful for the personal finance unit I do with my students. Part of the unit includes creating a detailed budget based on the starting salary of the job they hope to get once they graduate college or trade school. I would make some modifications to this template, but I think it would be more useful than having students do this portion in the word document I share with them. The most useful part is that students can enter in their numbers and it gives them totals in the spreadsheet so they don’t have to do it by hand! Here is a presentation I use for my students that I made in Google Docs on Demand Elasticity. 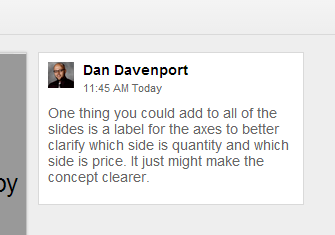 I had Dan make some comments in it as well of things I could improve with it. And here is a Doodle I made with Dan. I’ve used Doodle for several years now and I really like it. It’s such a simple way to see when people are free and to schedule a meeting or plan an event. We use it with friends and with colleagues since it’s such a useful tool! Student Usage: I use Google Docs quite often with students. I often create spreadsheets for students to post links to share their work and I encourage them to use Google tools to work together on their assignments. For example, when students create their budgets, they work together for one section of it and so I have them use Google docs to share their work and collaborate in real time instead of sharing files back and forth. I also have them create websites together and presentations about econ concepts together. 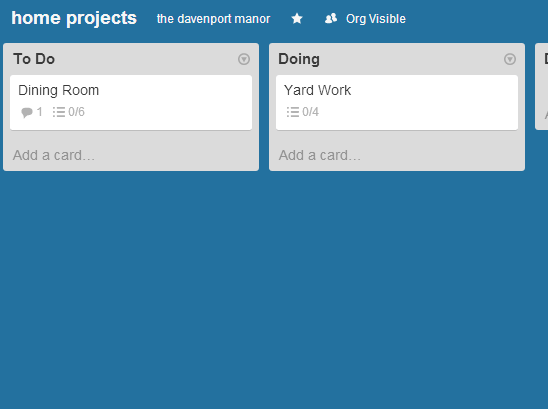 Below is an image of a Trello I made for home/personal use. We have an old house that needs some updating, so I made this to start organizing the projects and to create checklists for them. I can also see using this tool in my classroom to organize the lessons I need to create or update for units of study. (I’d probably give each unit it’s own board with it’s own set of checklists). This tool definitely beats using sticky notes because all the information is in one place instead of on several notes! read articles and post their summaries and their responses to questions about those articles. I would put students into groups and each group would respond on their assigned board. I think I could also use it to post lists of resources for each unit of study as well. I have a class website with that information on it, but maybe I will experiment with creating a Lino page and seeing if students like viewing the information in that format better. I can put the links and images and assignments I use all on a Lino page and link to it from my website so students have everything all on one screen. Yes put Dan to work both helping you with your work (making comments, etc) and working on your home! Way to use a good resource. I was a Wall wisher fan but then it never worked right. So even though Padlet replaced it eventually, I really like Lino. I was familiar with the iPad app first, but they both work nicely.